﻿ Shawnee Prairie Preserve & Nature Center - Ohio. Find It Here. 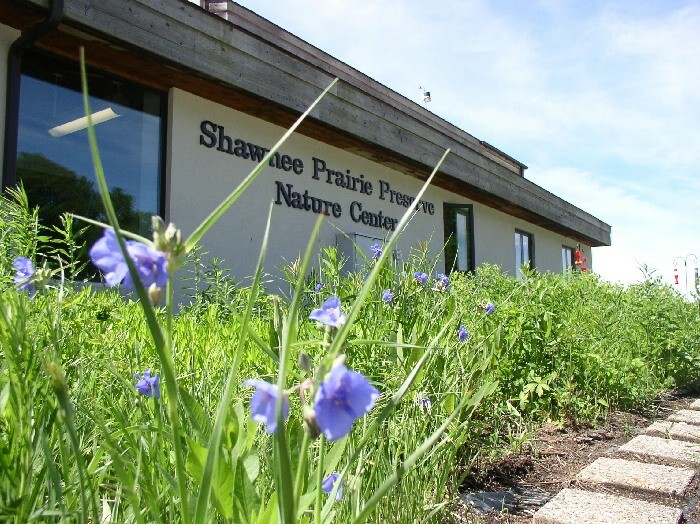 Shawnee Prairie is our largest park that encompasses 118 acres of prairie, forest and wetland habitats. The Nature Center is home to a variety of displays, houses our animal ambassadors and is the site of many natural and cultural programming. The 18th century Log House and Blacksmith Shop are open to the public on most Saturday's May through September. The Mission of the Darke County Park District is to acquire and preserve land areas possessing special natural and historical features and to manage and maintain these resources for the benefit of its residents through appropriate educational and passive recreational programs and activities.